Dusty dark garnet color. Attractive aromas and flavors of cherry creme brulee, mocha mousse, and spiced nut brittle with a satiny, vibrant, dry-yet-fruity medium-full body and a silky, intriguing, long finish manifesting notes of chocolate mint and vanilla nuts. A lush, sweeping pinot noir with rich flavors and precise balance. 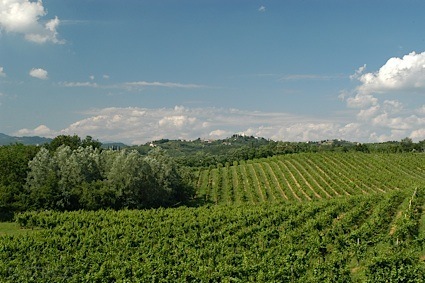 Bottom Line: A lush, sweeping pinot noir with rich flavors and precise balance. 93 • Willamette Valley Vineyards 2015 Estate , Pinot Noir, Willamette Valley 14.3% (USA) $32.00. 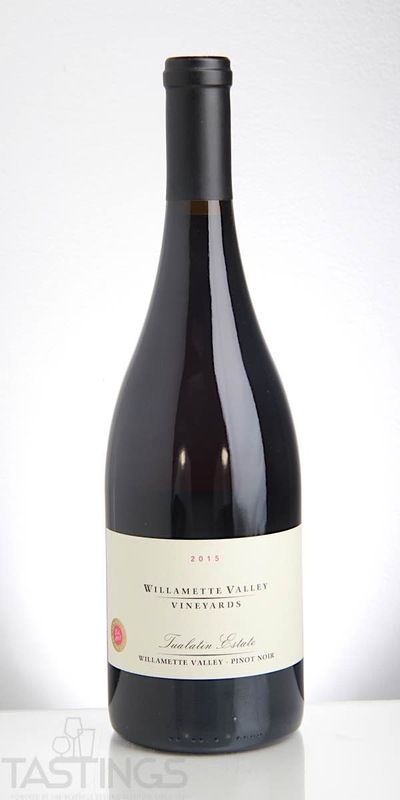 89 • Willamette Valley Vineyards 2015 Bernau Block, Pinot Noir, Willamette Valley 14.1% (USA) $65.00. 91 • Willamette Valley Vineyards 2015 Elton Vineyard, Pinot Noir, Eola-Amity Hills 14.3% (USA) $55.00. 94 • Willamette Valley Vineyards 2015 Tualatin Estate, Pinot Noir, Willamette Valley 14.5% (USA) $55.00. 91 • Willamette Valley Vineyards 2015 Brut Sparkling , Willamette Valley 12.8% (USA) $55.00. Willamette Valley Vineyards 2015 Tualatin Estate, Pinot Noir, Willamette Valley rating was calculated by tastings.com to be 94 points out of 100 on 4/20/2018. Please note that MSRP may have changed since the date of our review.